It's been a tumultuous week in East Lansing, home of the Spartans. President Lou Anna Simon resigned on Wednesday, and Athletic Director Mark Hollis stepped down Friday, in response to mounting rage over the school's handling of Larry Nassar. Produced by April Van Buren and Lindsey Smith. Edited by Sarah Hulett. An Ingham County judge sentenced the disgraced sports doctor to between 40 and 175 years in prison on Wednesday. And all that is because 156 women and girls were given a platform to share their stories of abuse. Their personal stories are powerful. Listen to them above. A warning, the content could be difficult for some listeners. Listen to select statements in full below. Be cautioned that some of the content is graphic and may be difficult to hear. Ingham County Judge Rosemarie Aquilina sentenced disgraced USA Gymnastics and Michigan State University sports doctor Larry Nassar to between 40 to 175 years in prison Wednesday. "Sir, you do not deserve to walk outside of a prison ever again," Aquilina said before providing her sentence. Nassar’s sentencing follows a week of 156 victim impact statements read by survivors of his decades-long sexual abuse under the disguise of medical treatment. Over 169 statements were read in total. 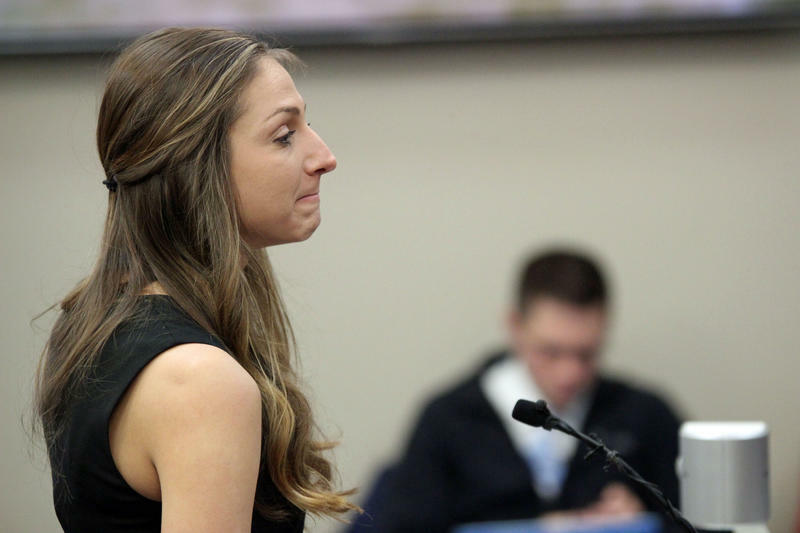 Larry Nassar's sentencing stretched into a full week Tuesday, with around 150 women and girls giving emotional statements and more to come. 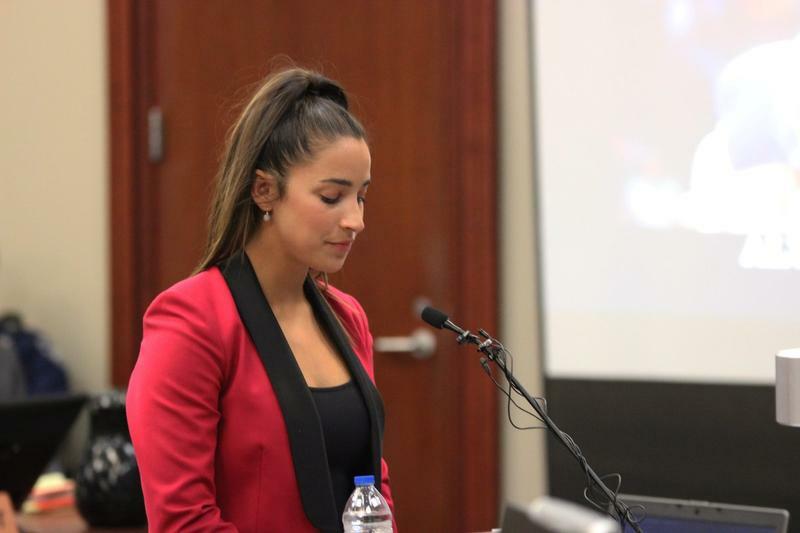 Michigan Radio's Kate Wells talks to Stateside about day five of the Nassar sentencing. One week ago, state prosecutor Angela Polivaitis announced that 88 women and girls would give victim impact statements in the sentencing hearing of disgraced sports doctor Larry Nassar. Now the prosecution says that number has risen to 144, and more may decide to speak before the sentence is announced this week. Stateside's conversation with Michigan Radio reporter Kate Wells. Today is the fourth day of a sentencing hearing for Larry Nassar, the former Michigan State University sports doctor charged with sexually assaulting young girls and women under the guise of medical treatment. Michigan Radio reporter Kate Wells discussed Tuesday's hearing on Stateside. For hours, they kept stepping before the court, one after another, more than two dozen women and girls speaking directly to the man who sexually abused them as children. 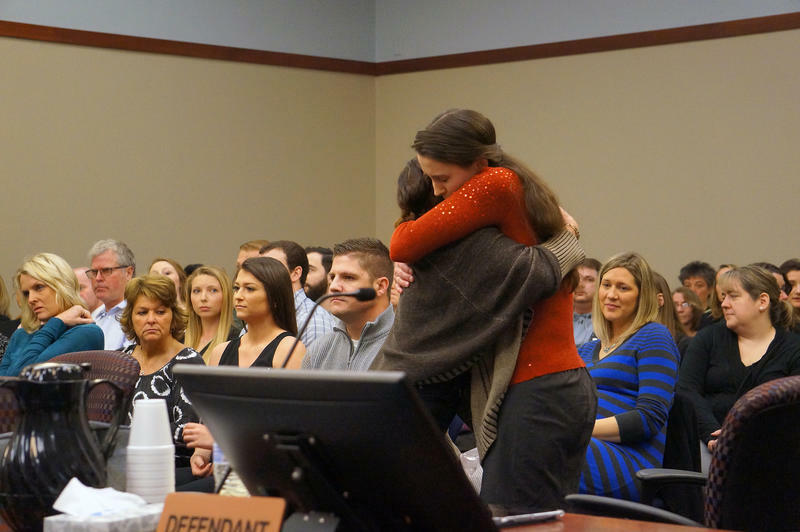 “I’ve been coming for you for a long time,” Kyle Stephens told Larry Nassar, her mother crying beside her.